On February 7 shortly after 5:00 p.m. a Western Air aircraft carrying over 30 passengers, including flight crew experienced difficulty, en route to the capital. 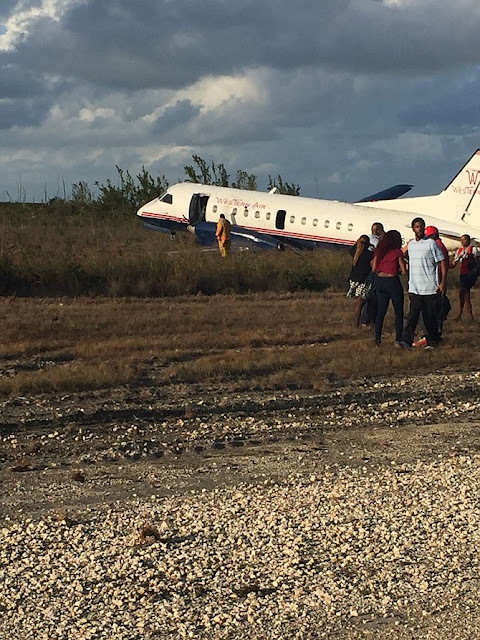 After the flight landed and skidded off the runway into nearby bushes, passengers were able to disembark safely, some complaining of minor injuries. Yesterday, this daily spoke with Sherrexcia Rolle, Vice President Operations and General Council, for an update on the incidents and passengers. “The majority of the passengers opted to fly out that night; they just wanted to get to their destinations, which we understood. We accommodated the majority of them on BahamasAir and Sky Bahamas,” rolle revealed. “There were a few passengers, who I understand, were in the hospital for generally minor injuries and are being monitored, but we are in contact with them. Everyone else was able to come in and get their bags, or their bags were sent to them. We are, just now, being cooperative with the investigators and the authorities,” she added. As news circulated about the incident, on Tuesday afternoon, The Freeport News’ team arrived at the Western Air terminal and had the opportunity to speak with a few passengers that were on the aircraft when it experienced a malfunction. However, Rolle informed this daily on Wednesday that while there was an incident that occurred with the aircraft, there was no crash. “After discussing with the airport operations and individuals, those who saw it, there wasn’t a crash, per se. I feel that is was a bit misleading to say that the aircraft crashed, because the aircraft landed and went all the way down the runway. Additionally, shortly after 10:00 p.m. on Tuesday night, Western Air released a statement on their Facebook page in regard to the incident. “Statement on Flight 708- Feb 7, 2017: We are aware of the questions pertaining to the incident at GBIA with Flight 708 departing for Nassau. While we continue to gain full clarity on the situation, we wanted to ensure the public is made aware of the general facts as we receive them. Shortly after take off, the Captain noticed an indication pertaining to one of the electrical systems, he communicated with air traffic control (ATC) and followed protocol to return the aircraft back to the airport as a precaution. The aircraft made a normal landing with both landing gears in place; however, once the aircraft proceeded down the runway and was preparing to turn onto the taxiway, the left gear malfunctioned, causing the aircraft to swerve off the runway. All passengers and crew were evacuated off the aircraft safely. Despite news reports, Western Air did not have a crash landing. Western Air conducts an average of 20 flights a day, 365 days a year for over 16 years, with an experienced maintenance team that works tirelessly every day maintaining the aircrafts and ensuring regulatory compliance. Despite our strict dedication to maintenance, we are reminded these are man- made machinery and some things are beyond control. Investigations are underway into separate incidents involving two Western Air aircraft that experienced problems while in flight on Tuesday. Civil Aviation authorities were at the Western Air hangar in Freeport yesterday, inspecting the aircraft and speaking with the pilots, mechanics and airline officials. Western Air has a fleet of five 33-seater SAAB 340 planes. Sherrexcia Rolle, vice president of operations and general counsel at Western Air, said that their operations have not been affected as three aircraft are still in service. 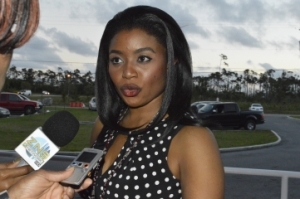 #Ms Rolle said that reports of a crash landing at Grand Bahama International Airport (GBIA) on Tuesday were inaccurate. “The pilot landed the aircraft and was proceeding as normal with both landing gears down. The left (landing) gear malfunctioned and caused the aircraft to make an abrupt swerve on the side of the runway,” she explained. According to reports, the incident happened around 5pm, just after the plane had taken off from GBIA on its way to Nassau, with 33 passengers and three crew onboard. It was reported that the aircraft experienced technical challenges and was forced to make an emergency landing. It skidded off the runway some 200 feet into the bushes. Ms. Rolle said that the aircraft had flown from Nassau to Bimini flawlessly, and from Bimini to Freeport. “It had taken off from Freeport when, three or four minutes into the flight, the pilot noticed some indication of an issue with his electrical system, so he communicated with Air Traffic Control and followed their instructions to fly around the tower to confirm that the gears were down,” she said. “And he made a precautionary decision to return to the airport. He actually landed the aircraft and they proceeded to go down the runway and was making that first turn when the left gear seemed to malfunction,” she said. Earlier that day, Ms. Rolle said another pilot had made the decision to shut down one of the engines after noticing an issue with the oil pressure during a flight from Freeport to Nassau with 20 passengers and three crew onboard. “Basically, the captain shut it down. But the SAAB 340 can fly with one engine, and so the decision the pilot made was the right one,” she said. Ms Rolle said the aircraft continued in flight and landed safely at its destination. Ms. Rolle said Western Air has been working collectively with Civil Aviation and all officials to understand exactly what happened. “More than anything, we want the public to know that we remain committed to providing safe and reliable service. We put a lot of work into our maintenance programme and they are thorough with scheduled and non-scheduled maintenance. “It was one of those situations where there was no indication of any issue and … we are continuing to investigate. But service is continuing as usual and our operations are not affected,” she said. WASHINGTON -- Privacy advocates voiced indignation Thursday at a White House plan to demand that some visa-bearing foreign travelers to the United States provide officials the passwords to their social media accounts and turn over their cellphones to be searched. The advocates said the plan was unlikely to deter terrorists and might be turned on Americans traveling abroad. Homeland Security Secretary John Kelly laid out the proposal this week on Capitol Hill and again in an interview with National Public Radio that aired on Thursday. To start with, Kelly said, the proposal would be aimed at visitors from the seven nations named in a 90-day travel ban that President Donald Trump set in a Jan. 27 executive order. Those majority-Muslim countries are Iran, Iraq, Libya, Somalia, Sudan, Syria and Yemen. He added that the program “could be” expanded. “This is security theater. This isn’t actually going to help,” said Nuala O’Connor, a former Department of Homeland Security official who now heads the Center for Democracy & Technology, a civil liberties and privacy group headquartered in Washington. O’Connor called the proposal “outrageous” and said it was a “sledgehammer response to the San Bernardino terrorist attack” in late 2015 in which 14 people were slain at a holiday party in that Southern California city. “The theory of the case is, if we could see everybody’s Facebook profiles and LinkedIn profiles and Twitter accounts – both public and private postings – in theory the country could have prevented San Bernardino,” O’Connor said, noting that one of the two assailants, Pakistani-born Tashfeen Malik, is believed to have posted jihadist rants on Facebook before taking part in the terrorist shooting. “It’s kind of the equivalent of asking everyone to take off our shoes at the airport because of the shoe bomber,” O’Connor said, referring to the 2001 case of Richard Reid, a British Muslim who tried but failed to set off a bomb in his shoes on a flight from Paris to Miami. Questions about the social media activity of foreign travelers began under the Obama administration. Since December, DHS has asked visitors from 38 countries – including European Union nations – that usually travel visa-free to the United States to fill out an online form that has an optional listing of social media used by the traveler. In a drop-down menu, the form lists 13 social media platforms, including Facebook, Twitter, YouTube, Flickr and LinkedIn but also Vkontakte – used primarily by Russian speakers – and GitHub, popular among programmers. Travelers are asked to provide their user names. The Trump administration has not outlined how it would store or analyze the information it would collect under the broader policy. The proposal lit up social media around the world, and one activist said he feared that the information repository of traveler data could become vulnerable. He noted that U.S. government entities have been hacked by Russia, China and other nations, and that information in the hands of the government is not necessarily safe. “Everything we do, everything we are, everybody we know, is on our phone. And so if we’re demanding that people provide that to government, we’re opening ourselves up to all kinds of intrusion,” Kaye said. Travelers from countries in disfavor are likely to respond in a certain way, Kaye said. “They may not bring their devices, and they could certainly say they are not on social media,” Kaye said. If other governments began demanding the same of Americans, he added, travelers may respond as they do when traveling to China, which already practices deep control of people’s digital lives, foreigners and Chinese alike. “If you’re going to China, and you are really concerned about maintaining your privacy and your contacts, you leave your phone, your tablet, your computer at home,” Kaye said. Kaye said he was not given to “slippery slope” arguments but found it difficult not to make one with the latest proposal. “If we’re doing this at the border, what’s the argument for stopping there? Why not continue on with domestic travel?” Kaye asked. SIOUX FALLS, S.D. 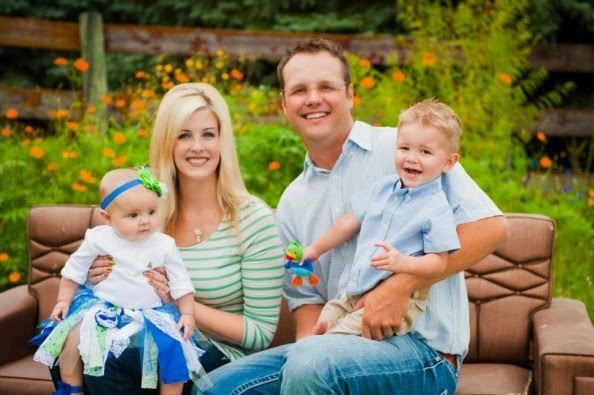 -- The widow of a South Dakota man who was killed in a plane crash in 2014 is blaming the Federal Aviation Administration for the accident. Natalie Rau says in a federal lawsuit that the Federal Aviation Administration failed to ensure that a South Dakota wind farm had lighted turbines and the agency neglected to diagram the farm on aeronautical chats. She's seeking unspecified damages. 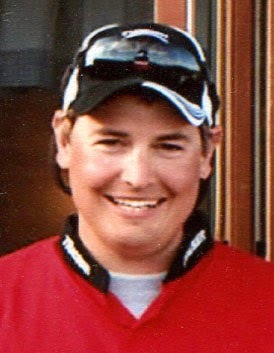 Rau's husband, Logan, of Java, was a passenger in the Piper PA-32R-300 Cherokee Lance that went down after colliding with a turbine while attempting a nighttime descent into the Highmore airport. All four people aboard the plane were killed. The lawsuit says the Federal Aviation Administration aeronautical charts were not up to date at the time of the crash. Government attorneys did not immediately respond to an email request for comment. 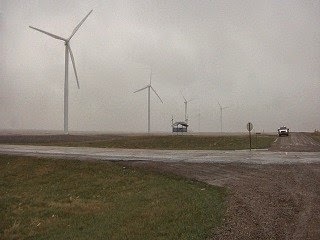 Several of the wind turbines of the South Dakota Wind Energy Center south of Highmore shrouded by fog and rain. 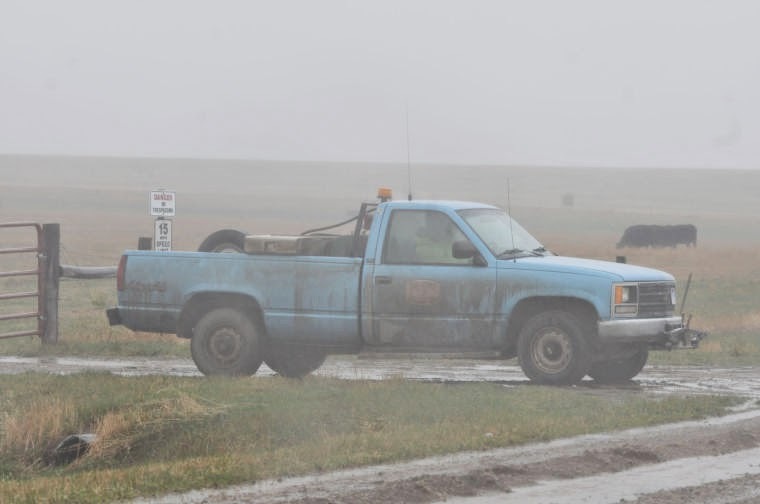 A Hyde County truck parked in front the pasture south of Highmore where a plane struck a wind turbine. During a dark night cross-country flight, the instrument-rated pilot was approaching the intended airport for landing when the airplane collided with the blades of a wind turbine tower. The weather had started to deteriorate and precipitation echoes were observed on radar. Witnesses in the area described low clouds, windy conditions, and precipitation. In addition, weather briefing records and statements made to a witness indicate that the pilot was aware of the current and forecast weather conditions for the route of flight. Investigators were unable to determine why the airplane was operating at a low altitude; however, the pilot was likely attempting to remain clear of the clouds even though both the pilot and the airplane were capable of flying in instrument meteorological conditions. An examination of the airplane, systems, and engine revealed no anomalies that would have precluded normal operation. Toxicology findings revealed a small amount of ethanol in the pilot’s blood, which was unlikely due to ingestion since no ethanol was found in liver or muscle tissue. The investigation revealed that the wind turbine farm was not marked on either sectional chart covering the accident location; however, the pilot was familiar with the area and with the wind turbine farm. Investigators were not able to determine what the pilot was using for navigation just before the accident. The light on the wind turbine tower that was struck was not operational at the time of the accident, and the outage was not documented in a notice to airmen. The wind turbine that was struck was the 5th tower in a string of towers oriented east to west, then the string continued south and southwest with an additional 13 towers. If the pilot observed the lights from the surrounding wind turbines, it is possible that he perceived a break in the light string between the wind turbines as an obstacle-free zone. The pilot's decision to continue the flight into known deteriorating weather conditions at a low altitude and his subsequent failure to remain clear of an unlit wind turbine. Contributing to the accident was the inoperative obstruction light on the wind turbine, which prevented the pilot from visually identifying the wind turbine. On April 27, 2014, about 2116 central daylight time (CDT), a Piper PA-32R-300 airplane, N8700E, was destroyed during an impact with the blades of a wind turbine tower 10 miles south of Highmore, South Dakota. The commercial pilot and three passengers were fatally injured. The airplane was registered to and operated by a private individual under the provisions of 14 Code of Federal Regulations Part 91 as a personal flight. Dark night instrument meteorological conditions prevailed for the flight, which operated without a flight plan. The flight originated from Hereford Municipal Airport (KHRX), Hereford, Texas, approximately 1700, and was en route to Highmore Municipal Airport (9D0), Highmore, South Dakota. According to family members, the pilot and three passengers had been in Texas for business. The pilot's family reported that they had intended to leave earlier in the day, on the day of the accident, but elected to delay, and subsequently left later than they had planned. The family stated that most likely, the flight was going to stop at 9D0 to drop off one passenger before continuing to Gettysburg Municipal Airport (0D8), Gettysburg, South Dakota. A fixed base operator employee at KHRX witnessed the pilot fuel the accident airplane at the self-serve fuel pump just prior to the accident flight. He reported that the fuel batch report showed 82.59 gallons of fuel had been dispensed. The pilot commented to the employee that he was going to "top it off" as he had "pushed his luck on the trip down." The pilot also discussed the weather conditions in South Dakota, noting that it was raining there. The pilot also added that the only reason they were leaving was because one of the passengers was anxious to get home. The pilot contacted the Fort Worth Lockheed Martin Contract Flight Service Station at 1711 when the airplane was 38 miles west of Borger, Texas, on a direct flight to North Platte, Nebraska. The pilot requested and obtained an abbreviated weather briefing. During this briefing, winds aloft and weather advisories for the reported route of flight were provided. The pilot also provided a pilot report for his position. At 1812 the pilot sent a text stating that they were "Into KS aways" (sic). At 1923 he sent a text stating that they were "into NE". At 2054 he stated that they were flying by Chamberlain, South Dakota. Several witnesses in the area reported seeing an airplane fly over their homes the evening of the accident. The first witness, located near the shore of the Missouri River, near Fort Thompson, South Dakota, reported seeing an airplane about 200 feet above the ground, flying to the northeast, about 2045. He stated that the airplane was low and was moving quickly. The second witness, located a few miles southwest of the accident site, reported seeing an airplane flying at a very low altitude, headed north, about 2115. Neither witness reported hearing problems with the engine. According to the Federal Aviation Administration (FAA), the airplane was reported missing by a concerned family member when the airplane did not arrive in Gettysburg, South Dakota, on the evening of April 27, 2014. The wreckage of the airplane was located by members of the Hyde County Fire Department and the Hyde County Sheriff's department around 0330 on the morning of April 28, 2014. The pilot was not communicating with air traffic control at the time of the accident and radar data for the accident flight was not available. Wind turbine tower #14, part of the South Dakota Wind Energy Center owned by NextEra Energy Resources, was damaged during the accident sequence. One of the three blades was fragmented into several large pieces. One large piece remained partially attached to a more inboard section of the turbine blade. The inboard piece of this same turbine blade remained attached at the hub to the nacelle. The outboard fragmented pieces of the wind turbine blade were located in a radius surrounding the base of the wind turbine tower. The other two wind turbine blades exhibited impact damage along the leading edges and faces of the blades. The pilot, age 30, held a commercial pilot certificate with airplane single engine land, multiengine land, and instrument ratings. 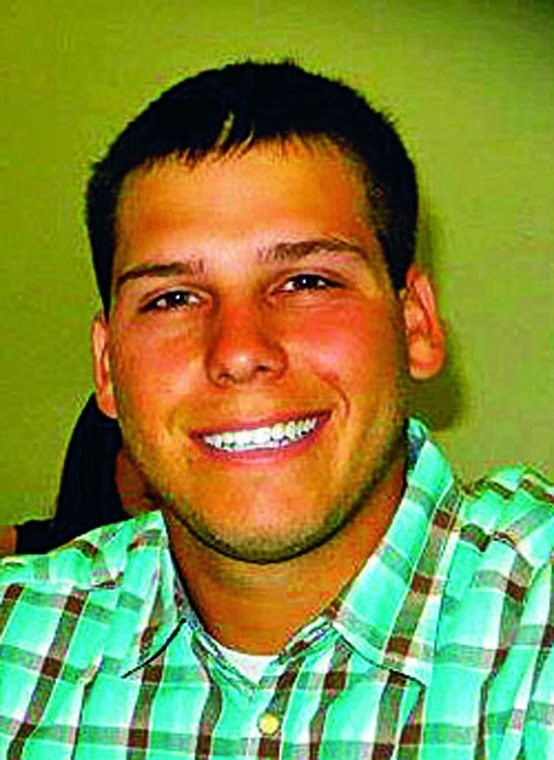 He was issued a second class airman medical certificate without limitations on January 19, 2014. 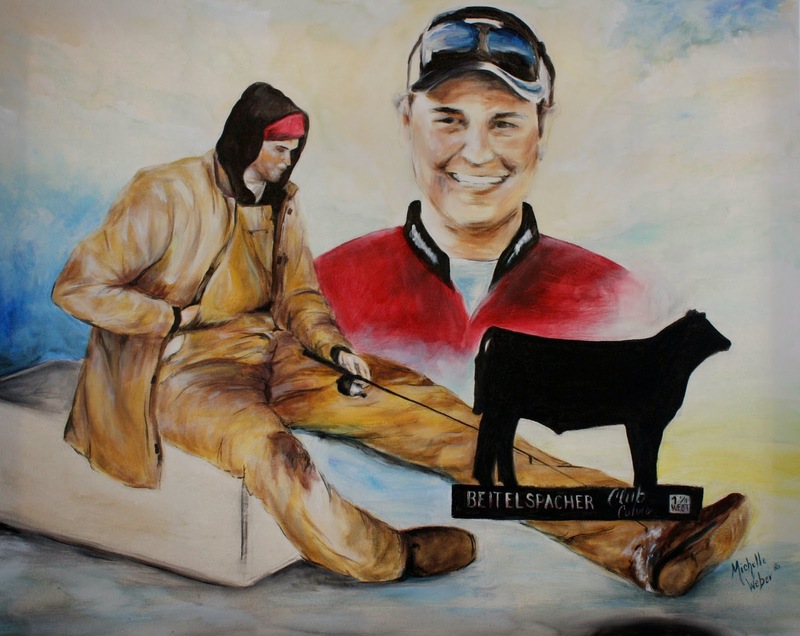 The pilot was a professional agricultural pilot and had flown agricultural airplanes in the area for several seasons. 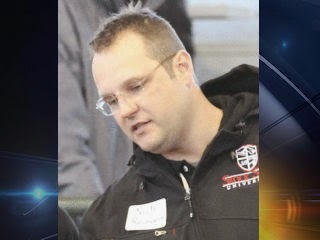 The family provided investigators the pilot's flight logbook. The logbook covered a period between April 22, 2010, and April 20, 2014. He had logged no less than 3,895.8 hours total time; 100.7 hours of which were in the make and model of the accident airplane and 95.1 hours of which were in the accident airplane. This time included 76.2 hours at night, 1.1 hours of which had been recorded within the previous 90 days. The pilot was current for flight with passengers at night. 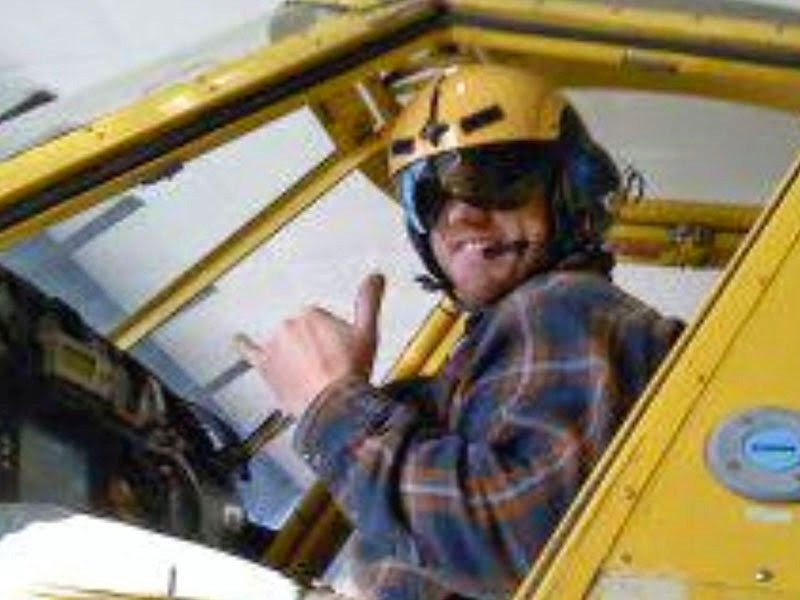 He successfully completed the requirements of a flight review on January 18, 2013. He successfully completed an instrument proficiency check in a PA-32R on February 7, 2014. According to the FAA, the pilot was familiar with the accident area. Specifically, the pilot was familiar with the wind turbine farm and had expressed his concern about the wind turbine farm to the FAA Flight Standards District Office in Rapid City, South Dakota. The details of his concerns were not available. 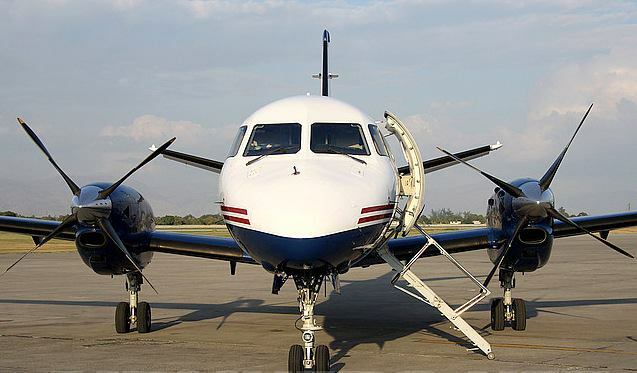 The accident airplane, a Piper PA-32R-300 (serial number 32R-7680159), was manufactured in 1976. It was registered with the FAA on a standard airworthiness certificate for normal operations. A Lycoming IO-540-K1G5D engine rated at 300 horsepower at 2,700 rpm powered the airplane. The engine was equipped with a 2-blade Hartzell propeller. The airplane was equipped and certified for flight in instrument meteorological conditions. The airplane was maintained under an annual inspection program. A review of the maintenance records indicated that an annual inspection had been completed on April 17, 2013, at an airframe total time of 4,766 hours. The closest official weather observation station was Pierre Regional Airport (KPIR), Pierre, South Dakota, located 35 miles west of the accident location. The elevation of the weather observation station was 1,744 feet mean sea level (msl). The routine aviation weather report (METAR) for KPIR, issued at 2124, reported wind from 010 degrees at 19 knots, visibility 10 miles, light rain, sky condition broken clouds at 1,000 feet, overcast at 1,600 feet, temperature 6 degrees Celsius (C), dew point temperature 5 degrees C, altimeter 29.37 inches, remarks ceiling variable between 800 and 1,200 feet. The METAR issued at 2139 for KPIR reported wind from 070 degrees at 19 knots, visibility 4 miles, rain, mist, sky condition ceiling overcast clouds at 800 feet, temperature 6 degrees C, dew point temperature 5 degrees C, altimeter 29.37 inches, remarks ceiling variable between 600 and 1,300 feet. Huron Regional Airport (KHON) in Huron, South Dakota, was located 53 miles to the east of the accident site at an elevation of 1,289 feet. The METAR issued at 2055 for KHON reported wind from 100 degrees at 20 knots, gusting to 27 knots, visibility 10 miles, sky condition ceiling overcast at 1,000 feet, temperature 9 degrees C, dew point temperature 7 degrees C, altimeter 29.36 inches, remarks peak wind of 29 knots from 090 degrees at 2015, rain began at 1956 and ended at 2006. The National Weather Service (NWS) Surface Analysis Chart for 2200 CDT depicted a low-pressure center in southern Nebraska, with an occluded front extending into northeastern Kansas. A stationary front extended from northeastern Nebraska southeast through southern Iowa. Surface wind east of the accident location was generally easterly, with surface wind to the west of the accident location generally northerly. Station models across the state of South Dakota depicted overcast skies, with temperatures ranging from the high 30's Fahrenheit (F) to the mid-50's F. Rain and haze were depicted across the state. A regional Next-Generation Radar (NEXRAD) mosaic obtained from the National Climatic Data Center (NCDC) for 2115 identified a large portion of South Dakota under light to moderate values of reflectivity, including the region surrounding the accident site. WSR-88D Level II radar data obtained at 2114 from Aberdeen, South Dakota, (KABR), depicted altitudes between 5,460 and 13,200 feet at the accident site. The KABR data identified an area of light reflectivity coincident with the accident location approximately two minutes prior to the accident time. Advanced Very High Resolution Radiometer (AVHRR) data from the NOAA-16 satellite data were obtained from the National Oceanic and Atmospheric Administration and identified cloudy conditions at or near the accident site. Cloud-top temperatures in the region varied between -53 degrees C and 6 degrees C. The temperature of -53 degrees C corresponded to heights of approximately 35,000 feet. Due to a temperature inversion in the ABR sounding near 4,000 feet, the temperature of 6 degrees C may correspond to various cloud heights ranging from at or very near the surface to between 3,500 and 6,500 feet. An Area Forecast that included South Dakota was issued at 2045 CDT. The portion of the Area Forecast directed toward the eastern two-thirds of South Dakota forecasted for the accident time: ceiling overcast at 3,000 feet msl with cloud tops to flight level (FL)180, widely scattered light rain showers, and wind from the east at 20 knots with gusts to 30 knots. Prior to the 2045 CDT Area Forecast, another Area Forecast that included South Dakota was issued at 1345 CDT. The portion of the Area Forecast directed toward the central and eastern portions of South Dakota forecasted for the accident time: ceiling overcast at 3,000 feet msl with clouds layered up to FL300, scattered thunderstorms with light rain, cumulonimbus cloud tops to FL400, wind from the southeast at 20 knots with gusts to 35 knots. Airmen's Meteorological Information (AIRMET) SIERRA for IFR conditions was issued at 1959 CDT for a region that included the accident location. AIRMET TANGO for moderate turbulence for altitudes below 15,000 feet was issued at 1545 CDT for a region that included the accident location. The AIRMET also addressed strong surface winds for a region that did not include the accident location. AIRMET ZULU for moderate ice for altitudes between the freezing level and FL200 was issued at 1545 CDT for a region that included the accident location. According to the United States Naval Observatory, Astronomical Applications Department Sun and Moon Data, the sunset was recorded at 2037 and the end of civil twilight was 2109. The moon rose at 0615 on the following day. At the time of the accident the wind turbine tower #14 recorded the wind velocity at 9.7 meters per second or 21 miles per hour and the ambient temperature was 7 degrees C.
The pilot logged on to the CSC DUAT System on April 26, 2014, at 2141:36 and requested a low altitude weather briefing quick path service. The pilot identified the route of flight as a direct flight between KHRX and 0D8, at an altitude of 8,500 feet. The FAA Twin Cities Sectional Chart 87th edition, dated 9 January, 2014, through 26 June, 2014, depicted the city of Highmore, South Dakota, and the Highmore Airport on the southern edge of the chart boundary. The city of Highmore and the airport were both within the same boundary box with a maximum elevation figure of 24 or 2,400 feet msl. The maximum elevation figure immediately south of Highmore was 27 or 2,700 feet msl. An obstacle at an elevation of 276 feet above ground level (agl) and 2,180 feet msl was depicted immediately south of the city of Highmore. A wind farm was depicted south and east of Ree Heights, South Dakota – this wind farm was at an elevation of 420 feet agl and 2,447 feet msl. The wind farm involved in this accident was not depicted on this sectional chart. The FAA Omaha Sectional Chart 89th edition, dated 6 February, 2014, through 24 July, 2014, depicted the city of Highmore, South Dakota, and the Highmore Airport on the northern edge of the chart boundary. The city of Highmore and the airport were both within the same boundary box with a maximum elevation figure of 24 or 2,400 feet msl. The maximum elevation figure immediately south of Highmore was 27 or 2,700 feet msl. A wind farm was depicted south and east of Ree Heights, South Dakota – this wind farm was at an elevation of 420 feet agl and 2,447 feet msl and 420 feet agl and 2,500 feet msl. A single obstruction was depicted on the chart about 7 miles south of the city of Highmore, just to the east of highway 57. The obstruction was at an elevation of 215 feet agl and 2,335 feet msl. A group of obstructions was depicted on the chart about 9 miles south of the city of Highmore, just to the west of highway 57. The obstructions were at an elevation of 316 feet agl and 2,496 feet msl. The wind farm involved in this accident was not depicted on this sectional chart as a wind farm. According to the FAA, the 90th edition of the Omaha Sectional Chart, effective from 24 July, 2014, through 5 February, 2015, added the depiction of the accident wind farm just south of the city of Highmore. This depicted the wind farm west and southwest of highway 57 at an elevation of 2,515 feet msl. In addition, an unlit obstruction at an elevation of 415 feet agl and 2,597 feet msl was depicted just south of the wind farm boundary. There are no instrument approach procedures into 9D0. There are two RNAV (GPS) approaches, runway 13 and runway 31, into 0D8. The accident airplane was equipped with an Apollo GX-50 panel-mount 8-channel GPS receiver. The unit includes a waypoint database with information about airports, VOR, NDB, en route intersections, and special use airspace. Up to 500 custom user-defined waypoints may be stored, as well. The GX-50 is a TSO-C129a class unit capable of supporting IFR non-precision approach operations. Thirty flight plans composed of a linked list of waypoints may be defined and stored. The real-time navigation display can be configured to show: latitude/longitude, bearing, distance to target, ground speed, track angle, desired track, distance, and an internal course deviation indicator (CDI). The unit stores historical position information in volatile memory; however, by design there is no method to download this information. The unit was sent to the NTSB Vehicle Recorders Lab in Washington D.C. for download. Upon arrival at the Vehicle Recorders Laboratory, an exterior examination revealed the unit had sustained significant structural damage. An internal inspection revealed most internal components, including the battery, were dislodged. Since the internal battery was dislodged and the unit relied upon volatile memory to record information, no further recovery efforts were attempted. 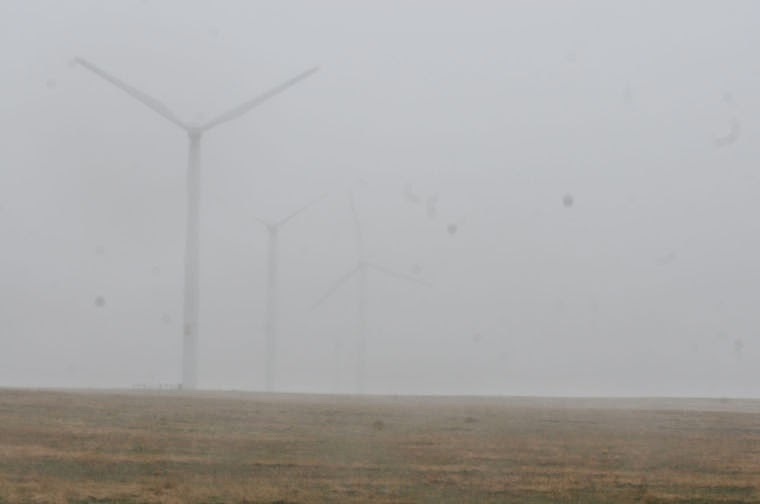 The accident scene was located in level, vegetated terrain, in the middle of a wind turbine farm, about 10 miles south of Highmore, South Dakota. The terrain was vegetated with short and medium grass. The wreckage of the airplane was fragmented and scattered in a radius to the north, through to the west, and then through the south, surrounding the base of wind turbine tower #14. The fragmented pieces of the fuselage, empennage, engine and propeller assembly, and both wings were accounted for in the field of debris. 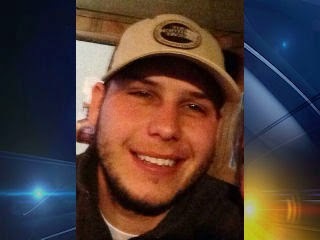 The autopsy was performed by the Sanford Health Pathology Clinic on April 29, 2014, as authorized by the Hyde County Coroner's office. 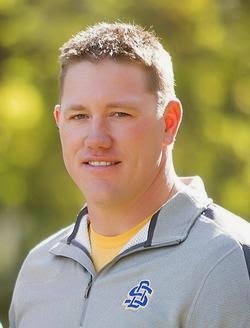 The autopsy concluded that the cause of death was multiple blunt force injuries and the report listed the specific injuries. The FAA's Civil Aerospace Medical Institute (CAMI), Bioaeronautical Sciences Research Laboratory, Oklahoma City, Oklahoma, performed toxicological tests on specimens that were collected during the autopsy (CAMI Reference #201400071001). Results were negative for all carbon monoxide and drugs. Testing of the blood detected 11 mg/dL ethanol; however, none was detected in the muscle or liver. Tests for cyanide were not conducted. The wreckage was recovered and relocated to a hangar in Greeley, Colorado, for further examination. The wreckage was examined by investigators from the National Transportation Safety Board, Piper Aircraft, and Lycoming Engines. The left wing separated from the fuselage and was fragmented. The fuel tanks were impact damaged and the left main landing gear separated from the wing assembly. The aileron and the flap separated from the wing assembly and were impact damaged. The right wing separated from the fuselage and was fragmented. The fuel tanks were impact damaged. The right main landing gear was extended and remained attached to the right wing spar. The aileron and the flap separated from the wing assembly and were impact damaged. The fuel selector valve was impact damaged. The position of the selector handle was at the left main fuel tank. Disassembly of the valve found the selector in an intermediate position between off and the left main tank. The fuel screen was clear of debris. The instrument panel was fragmented and many of the instruments, radios, and gauges were destroyed. The ADI case and the directional gyro exhibited signatures of rotational scoring. The tachometer exhibited a reading of 2,400 to 2,500 rpm. The altimeter was broken and the needles separated. The Kollsman window was set at 29.27 inches. The airspeed indicator exhibited a reading of 235 miles per hour. The pitot static system was impact damage and fragmented. The pitot tube and static port were clear and free of debris or mechanical blockage. Due to the damage, the system could not be functionally tested. The empennage separated from the fuselage and was impact damaged. The aft portion of the vertical stabilizer was impact damaged and remained partially attached to the rudder at the hinge points. The stabilator was impact damaged and fragmented. Flight control continuity to the ailerons, stabilator, and rudder could not be confirmed. The flight control cables were fractured in overload in multiple locations. The position of the flaps and landing gear could not be determined due to impact damage. The engine was impact damaged impeding examination and testing for functionality. The spark plugs exhibited worn out normal signatures when compared to the Champion Aviation Check-A-Plug chart. The fuel injectors for the 1, 3, and 5 cylinders were clear of debris. The fuel injectors for the 2, 4, and 6 cylinders were impact damaged. The oil pick-up screen was clear of debris. The fuel servo and fuel pump were impact damaged and could not be functionally tested. The fuel flow divider was clear of debris. The vacuum pump case was bent and exhibited internal scoring consistent with operation at the time of the accident. The propeller separated from the engine at the propeller flange. One blade exhibited S-bending, a curled tip, chord-wise scratches, and nicks and gouges along the leading edge of the propeller blade. The second blade exhibited chord-wise scratches, nicks and gouges along the leading edge of the propeller blade, and grey angular pain transfer near the tip of the propeller blade. The obstruction light, which included the power supply, flash head, and photocell (44812A), was removed from wind turbine tower #14 by an employee of ESI at the request of the wind turbine company. All of the components were shipped to Hughey & Phillips for further examination. • The flash head gasket was broken into 5 pieces. The day lens was crazed and a screw was loose in flash head. • The photocell which was in the container is an aftermarket unit and not as supplied by Hughey & Phillips. • An aftermarket transformer was added to the power supply above the TB1 terminal block. This was not wired into the power supply and two wires hung from the transformer. The power supply was placed on test jig and the power supply and flash head were connected via a 7-wire power cable, 7 feet in length, provided by Hughey & Phillips. When power was applied to the unit the flash head did not work - the red lamp attempted to flash and the white lamp did not flash. The capacitor was replaced and the red lamp functioned as designed. The white lamp did not function. The white flash tube was replaced with a new flash tube. • When in auto mode, light was applied to the photocell sensor and after 30 seconds it switched from night to day mode. When light was removed and the sensor was covered to remove light, it switched back to night mode after 30 seconds. The photocell was placed in a test chamber. When all light was removed, one light bulb illuminated. When 5 candelas was applied there was no change. The candelas were increased incrementally to 30 with no change. When the candelas were increased to 50, the test chamber switched to night mode within a minute or more. The flash rate of the unit was tested. • The red lamp tested at a rate of 25 flashed per minute – This is within the FAA specifications for the L-864 fixture, 20 to 40 flashes per minute. • The white lamp tested at a rate of 40 flashes per minute- This is within the FAA specifications for the L-865 fixture, 40 flashes per minute. The alarm function tested as designed. The entire system operated normally with basic replacement of the flashtube and capacitor. The system was not operational in its as removed state. The wind turbine farm south of Highmore, South Dakota, was constructed in 2003. There are 27 towers in the entire farm oriented from east to west across highway 57. It was reported to the NTSB, on scene, that each turbine tower is about 213 feet tall (from the ground to the center of the hub) and the blade length is 100 feet long. Each tower is equipped with three blades and FAA approved lighting. The blades are constructed from carbon fiber. On June 2, 2003, the FAA issued a Determination of No Hazard to Air Navigation, regarding the installment of wind turbine tower #14 near Highmore, South Dakota. The document identified that the wind turbines would be 330 feet agl and 2,515 feet msl. A condition to the determination included that the structure be marked and/or lighted in accordance with FAA Advisory Circular 70/7460-1K Change 1. The wind turbine tower #14 was located to the west of highway 57, and was the 5th wind turbine tower in a string of wind turbine towers, oriented from east to west. Wind turbine tower #14 was 0.3 miles to the west of the 4th wind turbine tower and 0.5 miles to the west of the 3rd wind turbine tower. The string of wind turbine towers changed direction after wind turbine tower #14 and continued to the south and south west for about 2 additional miles with 13 additional wind turbine towers in the string. The next closest wind turbine tower to #14 was 0.5 miles south. The wind turbine tower #14 recorded an alert in the system when the airplane and the turbine blade collided and the turbine went offline. The impact was recorded at 2116:33. The blades were pitched at -0.5 degrees and the nacelle was at 112 degrees yaw angle (not a compass heading, rather nacelle rotation). There were no employees at the wind farm maintenance facility when the accident occurred. The NextEra control center in Juno Beach, Florida, received an immediate alert when the collision occurred. The company response would have been to send an employee to the wind turbine the next morning to determine why the turbine had gone offline. Maintenance records for wind turbine tower #14, for 5 years prior to the accident, were submitted to the NTSB investigator in charge for review. These records included major and minor inspection sheets for 2010 and 2011 in addition to work management records for general maintenance, repairs, and fault troubleshooting that occurred between June 2010, and October of 2014 (after the accident). The major and minor inspection sheets for 2010 and 2011 indicated that the FAA lighting was inspected and found to be "normal" or "OK." No other maintenance records were provided which illustrated maintenance that was conducted or performed on the FAA lighting system between 2010 and the accident. It was reported to the NTSB IIC that the light on tower #14 was not functioning at the time of the accident and had been inoperative for an undefined period. The actual witness to the inoperative light did not return telephone calls in attempt to confirm or verify this observation. The US Department of Transportation – FAA issued Advisory Circular AC 70/7460-1K Obstruction Marking and Lighting on February 1, 2007. Section 23. Light Failure Notification states in part that "…conspicuity is achieved only when all recommended lights are working. Partial equipment outages decrease the margin of safety. Any outage should be corrected as soon as possible. Failure of a steady burning side or intermediate light should be corrected as soon as possible, but notification is not required. B. Any failure or malfunction that lasts more than thirty (3) minutes and affects a top light or flashing obstruction light, regardless of its position, should be reported immediately to the appropriate flight service station (FSS) so a Notice to Airmen (NOTAM) can be issued." Section 44. Inspection, Repair, and Maintenance states in part that "Lamps should be replaced after being operated for not more than 75 percent of their rated life or immediately upon failure. Flashtubes in alight unit should be replaced immediately upon failure, when the peak effective intensity falls below specification limits or when the fixture begins skipping flashes, or at the manufacturer's recommended intervals. Due to the effects of harsh environments, beacon lenses should be visually inspected for ultraviolet damage, cracks, crazing, dirt, build up, etc., to insure that the certified light output has not deteriorated." Section 47. Monitoring Obstruction Light stated in part that "Obstruction lighting systems should be closely monitored by visual or automatic means. It is extremely important to visually inspect obstruction lighting in all operating intensities at least once every 24 hours on systems without automatic monitoring." Chapter 13, Sections 130 through 134, addressed Marking and Lighting Wind Turbine Farms. Wind turbine farms are defined as "a wind turbine development that contains more than three (3) turbines of heights over 200 feet above ground level." In addition, a linear configuration in a wind farm is "a line-like arrangement… The line may be ragged in shape or be periodically broke, and may vary in size from just a few turbines up to 20 miles long." Section 131. General Standards states in part that "Not all wind turbine units within an installation or farm need to be lighted." "Definition of the periphery of the installation is essential; however, lighting of interior wind turbines is of lesser importance…" "Obstruction lights within a group of wind turbines should have unlighted separations or gaps of no more than ½ statute mile if the integrity of the group appearance is to be maintained." Section 134. Lighting Standards states in part that "Obstruction lights should have unlighted separations or gaps of no more than ½ mile. Lights should flash simultaneously. Should the synchronization of the lighting system fail, a lighting outage report should be made in accordance with paragraph 23 of this advisory circular." Section c. Linear Turbine Configuration states in part "Place a light on each turbine positioned at each end of the line or string of turbines. Lights should be no more than ½ statute mile, or 2,640 feet from the last lit turbine." On April 27, 2014, at 2116 central daylight time, a Piper PA-32R-300 airplane, N8700E, was destroyed when it impacted the blade of a wind turbine 11 miles south of Highmore, South Dakota. The commercial pilot and three passengers were fatally injured. The airplane was registered to and operated by a private individual under the provisions of 14 Code of Federal Regulations Part 91 as a personal flight. Instrument meteorological conditions prevailed for the flight, which operated without a flight plan. The flight originated from Hereford Municipal Airport (KHRX), Hereford, Texas, approximately 1700. According to officials with the Federal Aviation Administration, the airplane was reported missing by a concerned family member when the airplane did not arrive in Gettysburg, South Dakota, on the evening of April 27, 2014. 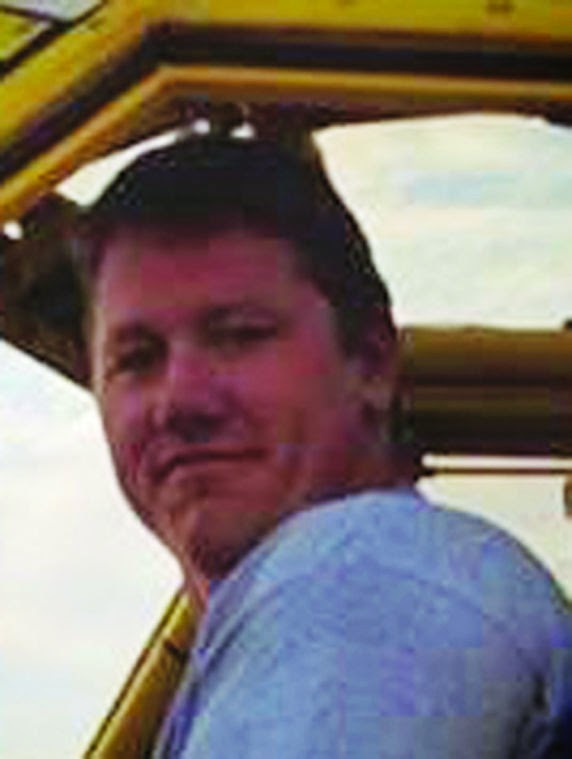 The wreckage of the airplane was located by members of the Hyde County Fire Department and the Hyde County Sheriff's department around 0330 on the morning of April 28, 2014. The wreckage of the airplane was scattered in a radius surrounding the base of a wind turbine. The airplane was fragmented. One turbine blade exhibited impact damage and was broken into several large pieces, several of which remained attached to the turbine nacelle. The remaining two turbine blades exhibited impact damage. The closest official weather observation station was Pierre Regional Airport (KPIR), Pierre, South Dakota, located 37 miles west of the accident location. The routine aviation weather report (METAR) for KPIR, issued at 2124, reported wind 010 degrees at 19 knots, visibility 10 miles, sky condition broken clouds at 1,000 feet, overcast at 1,600 feet, temperature 06 degrees Celsius (C), dew point temperature 05 degrees C, altimeter 29.37 inches, remarks, ceiling variable between 800 and 1,200 feet. 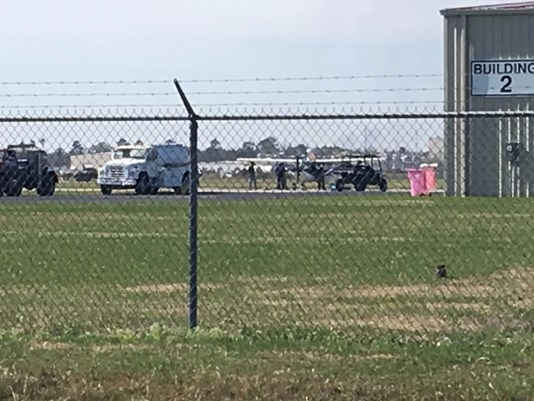 Beaumont Fire Captain Brad Penisson confirmed that the pilot who made an emergency landing Thursday afternoon at the Beaumont Municipal Airport is safe. 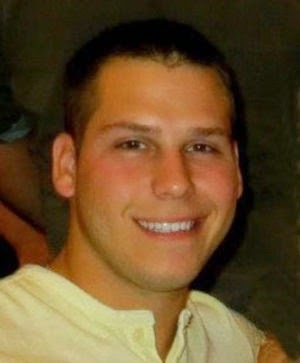 "By the time we got out there he was was out of the plane and walking around," Penisson said. Penisson said the pilot reported plane problems and smoke from the plane's cockpit to dispatch, but when firefighters arrived to scene there was no fire. BEAUMONT - Engine problems forced the landing of a small plane at the Beaumont Municipal Airport . Beaumont firefighters responded after being notified by air traffic controllers that Cessna was landing at the airport with one person on board and smoke in the cockpit. The engine problems are what caused the smoke, however, the plane landed without incident and the pilot walked away unharmed. The Federal Aviation Administration has resumed issuing routine rules calling for safety fixes to aircraft, following a 19-day pause prompted by President Donald Trump’s government-wide regulatory freeze. The first mandatory safety orders, called airworthiness directives, were published in the Federal Register at the start of this week and five more appeared for public inspection Thursday on the publication’s website. In January, before Mr. Trump’s inauguration, some two dozen such rules were released by the FAA. FAA safety directives mandating or proposing inspection, repair or replacement of specific aircraft parts or systems are important parts of the agency’s daily activities. Hundreds of them are issued annually, affecting everything from jumbo jets to private aircraft to gliders. Except for unusual circumstances that require emergency action, cover an unusually large number of aircraft or entail particularly expensive fixes, the rules typically are handled by career FAA officials with little or no involvement of political appointees at the FAA or its parent agency, the Transportation Department. But in the wake of Mr. Trump’s executive order putting all new and pending regulations on hold for 60 days, the FAA’s normally low-profile, routine safety directives temporarily were held up by the freeze. The White House order allowed for exemptions due to urgent concerns about health, safety or national security, though it took time for the Trump team to determine that FAA airworthiness directives fell into one of those categories, according to people familiar with the process. Broader FAA rule-making initiatives that were poised to be released in late 2016 or early 2017, including new standards for allowing unmanned vehicles to fly over crowds of people or inhabited areas, appear to be held up as part of Mr. Trump’s regulatory freeze. Separately last week, a broad coalition of trade associations representing battery makers, manufacturers of electronic devices and retail companies urged newly confirmed Transportation Secretary Elaine Chao to swiftly release pending final rules for transporting lithium batteries as cargo on aircraft. The letter signed by nearly two dozen groups, including Apple Inc. and the association that lobbies for most large U.S. carriers, said the goal is “assuring safety and avoiding disruption to supply chains.“ Industry officials said it’s too early to tell how the Trump administration will respond to that request. But regarding FAA airworthiness directives, those posted Thursday by the Federal Register highlighted the routine nature of such rules. One calls for repetitive inspections of certain bulkheads to check for corrosion on various versions of Boeing Co. 747 jumbo jets. Another mandates checks of parts of hydraulic systems on more than 100 Airbus SE helicopters, reducing the number of choppers affected but still indicating that the underlying problem, under extreme circumstance, could result in loss of control. In most cases, however, manufacturers already have issued voluntary alerts to airlines about problems and fixes before the FAA puts out its follow-on mandatory rules. The FAA actions are considered important because sometimes the agency changes some details or speeds up required compliance times. FAA airworthiness directives also are tracked by foreign regulators, who normally apply them for carriers under their jurisdiction. MEMPHIS, Tenn. - Are MEM first responders ready for an emergency?? 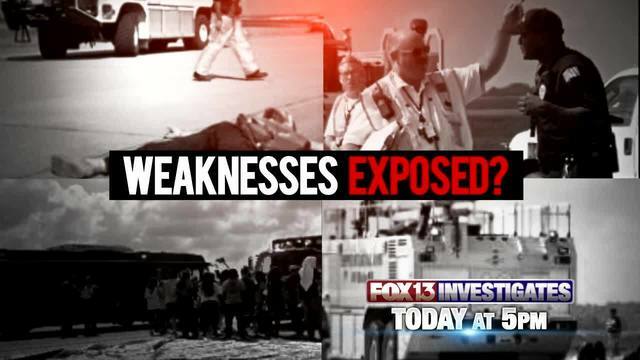 A FOX13 investigation looks at how safe travelers are during an emergency at the Memphis International Airport. A new report obtained by FOX13 shows there's area for improvement. Late last year, three accidents caught the attention of the country. An American Airlines plane caught fire in Chicago. Then V.P. candidate Mike Pence's plane slid off of Laguardia's runway. 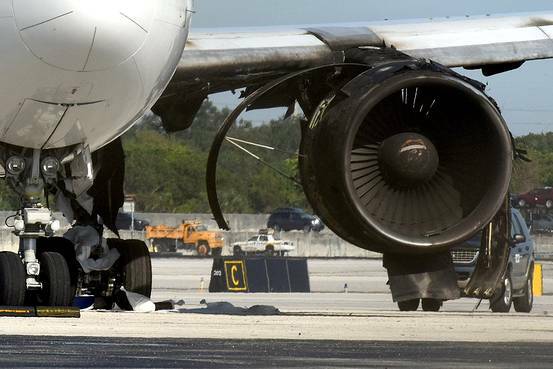 And less than 24 hours later, the landing gear collapsed on a FedEx plane in Fort Lauderdale, Florida. “Those real life incidents are the exact reason why we do those exercises” says airport spokesperson, Glen Thomas. Thomas was involved in the most recent emergency drill, back in August. Think of it as a fire drill for adults. They simulated a plane crash, killing some passengers and injuring others. “We feel that we're prepared to handle a variety of situations” says Thomas. The drill simulates organized chaos, quickly, the unthinkable must become fixable. Previously, law enforcement took first responders to the disaster scene. But new this year, maintenance employees took over that task, freeing up officers. Thomas says that was an area of improvement adding “that worked very well coming it. Leaving the airfield there was some confusion with the vehicles departing. It wasn't a major problem but it's something that we need to address and it's something we're looking at.” The report is generated by airport officials. The FAA requires they do it every three years but does not require a copy of the report. 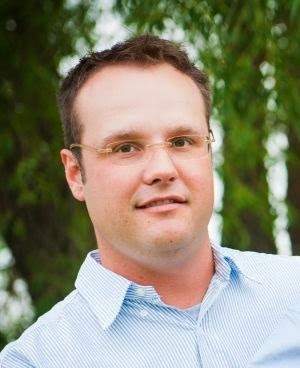 “We utilize that for future planning but it's mainly an internal document,” Thomas said. Thomas says the report was filled with good things first responders did that if it was a real emergency would have kept others on the property safe. “You know that there's going to have to be some adaptability within that situation but it gives you a blue print for how to respond to these types of situations,” Thomas said. Airport officials are considering doing a drill every two years.